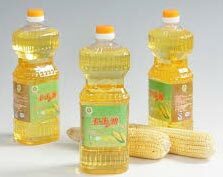 We offer Refined Corn Oil that is prepared from the finest quality corn germs at our vendors’ end. It contains all the essential polyunsaturated fatty acids and that is why, it has become the first choice for the customers. Also, it is rich in vitamin E. The consumption of our Refined Corn Oil regulates the blood cholesterol level in the body. Due to its salient attributes, our Refined Corn Oil also finds extensive usage in soap, salve, paint and many other industries. Refined Corn Oil is also available in Crude Form.